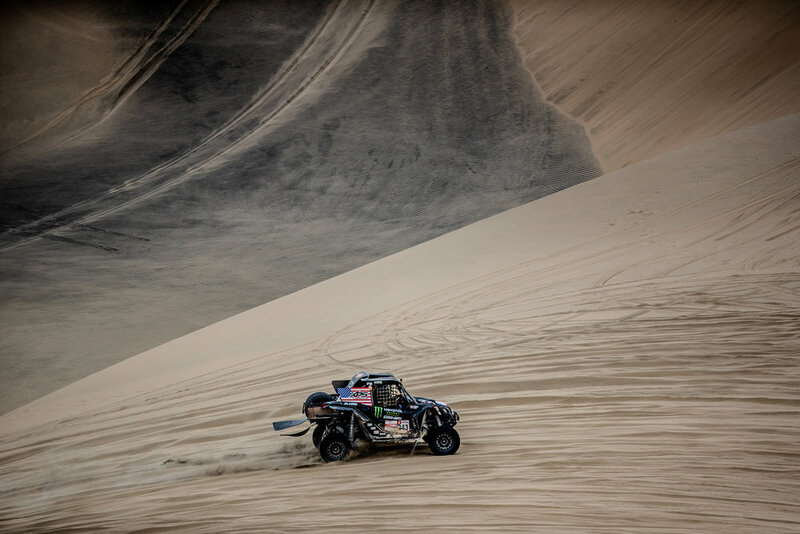 Navigation seems to be the key word of the Dakar Rally for Casey as another day has come with more navigation errors. The stage started off great running 2nd at waypoint 1, then the navigation woes started up again. Steadily losing 2-3 minutes a waypoint, he would drop back to 5th on the stage, 00:14:35 behind the stage winner. Casey maintained 5th overall on the rally going into the final 2 stages. The big news on the day was fellow American Ricky Brabec, abandoning the rally as he’d blow his motor only 56km into the special. Going into the special he had a 7 minute lead over second heading into the final stages looking poised to take his first win and finish of Dakar. Ricky, crushing it before a devastating blown motor. Stage 9 will be the second loop stage of the rally with a 311km special. It’ll also be another side by side start for the vehicles. With 50% sand dunes and 50% gravel with 90% off track, this will be another tough stage.